Leopard, the next version of Apple's operating system, is to be released in October. The timing for such introduction highlights the opportunity for Apple to offer the option of a standalone Leopard; e.g. the OS unbundled from Apple's hardware. Two reasons contribute to an excellent timing for Apple to offer an unbundled operating system. Vista's troubles. Vista's failure to deliver on the expectations created by Microsoft is such that end-users prefer Vista's predecessor, XP. Increased use of virtualization. Virtualization has reached volume adoption and is now a needed function for software development and for other applications on the desktop and on the server. It is conceivable that a year from now consumers may buy computers able to run more than one operating system. In fact such computers may have no operating system other than a virtualization function as part of the hardware, bios or flash configuration. These developments, problems with Vista and availability, acceptance and use of virtualization, result in a great opportunity for Apple. 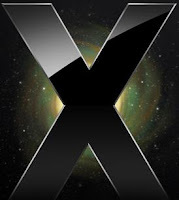 Should Apple sell Leopard as a standalone operating system, for installation on a computer or under a virtual environment such as VMware, Virtuozzo, Parallels, Linux-KVM, XenSource, and Sun's xVM, will benefit consumers and Apple. Consumers. Consumers have an alternative to Microsoft even if a standalone Leopard license is supported by Apple for operation on a virtual environment only. Apple. Apple benefits by expanding adoption of its operating system beyond the present niche and enabling agile 64-bit Leopard to run on dual and quad Intel and AMD platforms directly or through virtualization. Supporting vast combinations of hardware configurations is indeed a problem for any OS. However, offering unbundled Leopard for operation under a virtual environment is an attractive option. Licensing Leopard for operation under a virtual environment simplifies support significantly given that video, disk, network and other devices are virtualized, defined by each virtualization tool, thus avoiding support for vast number of devices, associated drivers, and contributing to stability. We need now to develop in more than one OS. It is not a nice-to-have function; it is needed for several areas including cross-platform development. I trust Apple will see the benefit of licensing Leopard standalone so I can install it on my mobile development environment: MS Vista, VMware and Ubuntu-64 as guest. I was skeptical, but VMware Workstation, on Vista-32-bit, supports 64-bit guests; it performs well and it is stable. 3 Terrible Strategies for Companies Seeking Growth - Too many firms are opting for clever, cruel ways to turn a profit. Blog Migrated - My blog is migrated to a new place: http://blog.gridgainsystems.com/ Please update your bookmarks.